Finding the right retirement gift idea is HARD. How do you honor a person's career when you might have only known them for a few years? How do you honor it when you've known them forever? Don't panic! Our 12 top tips will help you to choose the best retirement gift that they'll love. In this article you'll find lots of advice for choosing a perfect retirement gift. From personalized gifts and celebration gifts, to gifts related to what to do in retirement, our retirement gift ideas guide is here to help you find the best retirement gift! 1. Why buy a retirement gift? Retirement is an enormous milestone, the end of many years of working. It deserves to be celebrated and the person's achievements and contributions honoured. However, some people feel really under-appreciated when they retire. A crystal paperweight or a corporate branded ornament doesn't really radiate appreciation. It's such a generic way to say thank you. And, in all likelihood, it's going to end up in the trash. 2. What do retiring people even want? People who reach retirement want to feel valued, and to feel that they made a contribution. Company trinkets or trophies aren't true recognition. And chances are they still have company awards from previous milestones they've achieved. But a personalized gift that recognizes and celebrates their achievements, or a thoughtful gift that they will be able to use in their retirement is going to be very well recieved. And if you can't think of a suitable gift, then a gift voucher or cash is a great solution as the retiring person can choose something they'd like. And they won't be recieving "more stuff" that they don't really want! Some companies have a policy of phoning the retiring person's spouse to ask if there are any particular retirement gift ideas they know of that the person would like for their retirement. 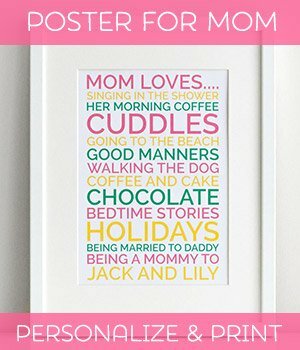 I think this is a great way to choose a thoughtful gift for the person, and it shows that you care about the person retiring enough to try to get it "right" for them. Regardless of what you buy, it's the card message that will convey your intent. Reminiscing over a particular shared memory, or thanking the person for their mentorship or dedication at work. It sets the tone for how the gift is received. So take some time to sit down and reflect. What has this person done to help you personally? Or what have they done to help the organisation? What are their hopes for retirement? What would they like to do next? Wish them well for this next adventure! You could also explain why you're giving the gift you are giving. Then, even if they don't like it, they'll understand why you bought it and appreciate the thought! 5. So, what should I buy them? Take a moment to think about the person retiring to help you come up with the perfect retirement gift idea. If it's only a short time then you won't be expected to put in quite as much effort as if you've been their co-worker since day 1. Are they family? Or from work? If they're family, then a meal out, a weekend away, or a cool experience day to set the tone of their retirement would be more appreciated than a formal gift. Are they particularly nostaglic or sentimental? If yes, then search for old photos! Track down previous colleagues for messages. Collate a keep-sake for the retiree to reflect on their lifetime's work. Do they talk non-stop about what they're going to do once they retire? Then use this for your inspiration! Travel lined up? Great, get them something related to traveling. Or fishing. Or golf. Or grandkids. Show you're thoughtful side, and buoy their excitement for this next phase of their life! Probably the easiest of gifts to find, a congratulatory gift celebrates reaching a milestone in life and add a bit of special sparkle and excitement to the day. These gifts are great for family members who you know are keen to celebrate. Or are great retirement gifts for colleagues you don't know very well. (Just don't buy them alcohol if they abstain as that's a bit awkward). A bottle of vintage Champagne, or a delicious gourmet food basket is a lovely way to celebrate the start of retirement. You can order a Celebration Gift Basket or a Gourmet Food Gift Basket easily from Amazon, so it's a great last-minute retirement gift idea fall-back! After all their years of service, they now deserve some pampering and relaxation! Pampering retirement gifts are particularly great for people who spend a lot of time on their feet at work, or for people who are always busy at work and now need a bit time for themselves. I think they're great for a well known colleague or friend who is retiring, but I'm not sure I'd give a pampering gift to a boss. You'd have to know them quite well before giving them such a personal gift. There are many lovely Relaxation Gift Baskets with gorgeous bubble baths and relaxing aromatherapy products. If they prefer to relax with a good book and a glass of wine, then a kindle book voucher could be just the thing. Practical, useful, and a great way to start their retirement! Or a giant Jigsaw Puzzle is a great retirement gift for the person who loves to keep their brain busy while they relax! When someone retires, you might want to acknowledge the person's contribution and hard work over their career, thanking them for their commitment and the work that they have done, and celebrate how much they have accomplished. This retirement gift idea is a particularly good one for people who are nostalgic and might want to look back on their working years. Maybe not so great for the person who can't wait to finish up and never think about their job again! A nice way to do acknowledge their achievements is with a personalized framed print. You can personalize the details of their career, from the number of jobs they have had and years they have worked. Click here to personalize and print a retirement poster. Use our personalized retirement poster generator to list all the jobs the person has held in their career, or you could list significant projects they have worked on over the years. Or perhaps list all the places they have worked in if they moved a lot over their career. Order a personalized map of the district in which the person worked. 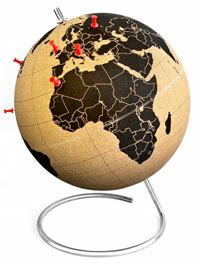 This retirement gift idea works well for someone who was in sales and covered a specific region of the country. If the person held many jobs over their career around the country or world, you could make a personalized map with all the locations listed. For some people their work is a central part of their life and their colleagues are also close friends with whom they have shared many key moments of their lives. Here are some retirement gift ideas that help to capture those relationships over their working career. Remind them of the highlights of their career and of the friendships they've made over the years with a personalized photobook. Email around past and present co-workers to collate a range of photos spanning the person's career, and use an online service like Snapfish to design and print a memories book for the Retiree. Collate written or video tributes into a gift to present to the person retiring. Ask everyone contributing to reflect on the Retiree's influence on their life (whether work, socially etc). And remind them to wish the Retiree all the best for their retirement. A tribute gift takes advance planning, but there are many online tribute services that will compile everyone's submission into an edited video that you can present to the retiree, so it doesn't have to be complicated! Has the retiree been talking about their retirement plans for the last few years and just can't wait to be retired? Buying them a gift that relates to their retirement plans is a really thoughtful and practical gift. Many retirees are keen to travel now they have more time on their hands. Maybe they want to go travelling to exotic countries, or buy an RV and start touring. Possible travel-related ideas include map books for the region they'll be exploring, a Travel Globe with push pins so they can track their travel, other travel guidebooks, RV books and gear, Leather Luggage Tags, Passport Holders, a travel journal, Hawaiian Shirts ... The list is endless really! This might be a good time to talk to their spouse or travel partner about their plans so you can choose the perfect travel gift for them. Are they keen to spend more time on their favorite hobby? Perhaps golfing, fishing, crafting, or spending more time with their grandchildren? Buy them gift vouchers to a hobby-store so they can purchase the things they need, or think about their particular hobby and buy them something related to that. And, if they're not sure what they're going to do once they're retired, you could give them some inspiration with Retirement Books about what to do when you're retired. There are some great collections out there with lots of ideas! Retirement can be daunting for some people, and they might wonder what they are going to do with all their spare time. Buying them access to an experience day, a community college course, or an online learning platform might be just the thing for them to show them that they can still try new things and keep learning. Some possible retirement gift ideas include cooking lessons, pro-golf or pro-tennis lessons, extreme experiences such as racing car driving for a day or a flying lesson, or a wine tasting course, beer making course, various craft courses etc. In many industries people were traditionally given a pocket watch or wrist watch on their retirement. This type of gift perhaps isn't so useful these days, but there are other possible gifts that are related to this theme. A Retirement Pocket Watch is the traditional retirement gift to give, but the risk in giving this as a gift is that it might just live in a drawer and not get used or appreciated. However for someone who enjoys tradition then it maybe something to consider. Be sure to personalize it with their name and the years of service. 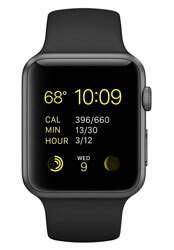 A modern alternative is a Smart Watch. There are so many options available, from health monitoring, to ones you can read your emails on, so worth exploring further if the person enjoys technology. A gadget like this might be just the gift people would love to have and would use everyday, but not be able to afford themselves. 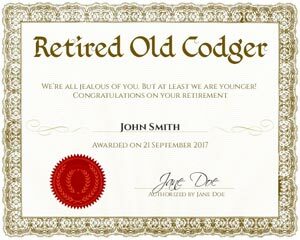 If the person retiring enjoys a good joke, then perhaps you want to get them a little something to poke fun at their retirement. 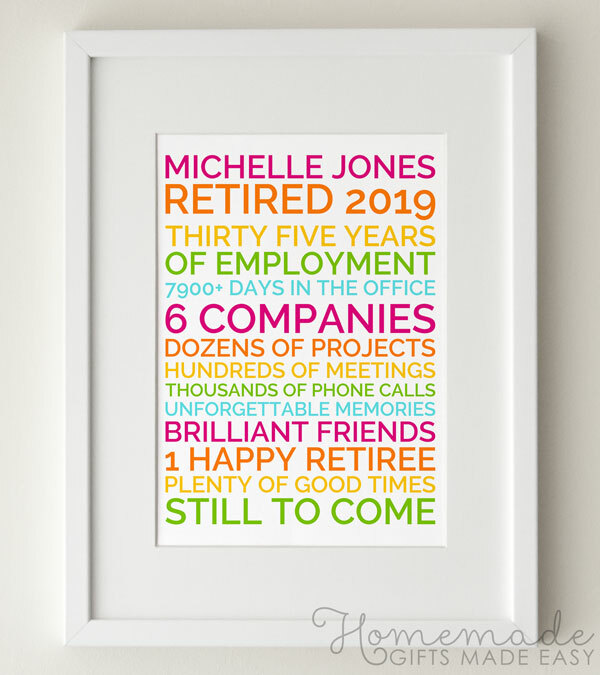 There are many funny retirement signs you can buy for their house/den/shed/craft-room/garden etc to let everyone know that the person is retired! You can also find funny retirement mugs and t-shirts. Or if you fancy making your own gift, then we have plenty of funny retirement gag gift ideas so do take a peek! Is the person just one of those really hard-to-buy for people? Do they already have everything they need? For people you just don't know who to buy for, then an Amazon gift certificate or other gift certificate is a great option. It leaves them to enjoy buying something just right for them. 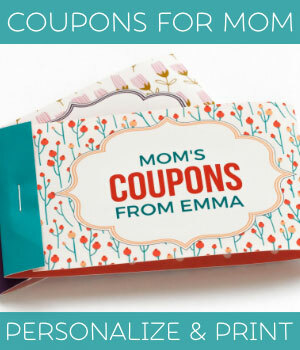 You could buy Kindle or bookstore vouches for a book worm, vouchers to a craft store for the crafters, local lesson vouchers, a gym class subscription etc. Or purchase vouchers to a local restaurant for a night out with their spouse to celebrate their retirement! Another option to consider for a person who has everything, is to give a gift on behalf of the company to the person's favourite/chosen charity. We hope you found these retirement gift ideas helpful as you choose the right gift for your coworker or family member. 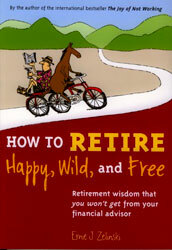 If you're looking for a funny gift then check out my page on retirement gag gifts. We also have a great collection of 40+ Retirement quotes and 30 Retirement wishes to help you write the perfect retirement greeting card message, so do check them out!